These were the scenes at the final whistle after Manchester United’s victory over West Ham United. After back-to-back defeats to Wolverhampton Wanderers and Barcelona, the Red Devils returned to winning ways with a 2-1 triumph over the Hammers at Old Trafford yesterday evening. Midfielder Paul Pogba scored both of United’s goals from the penalty spot. 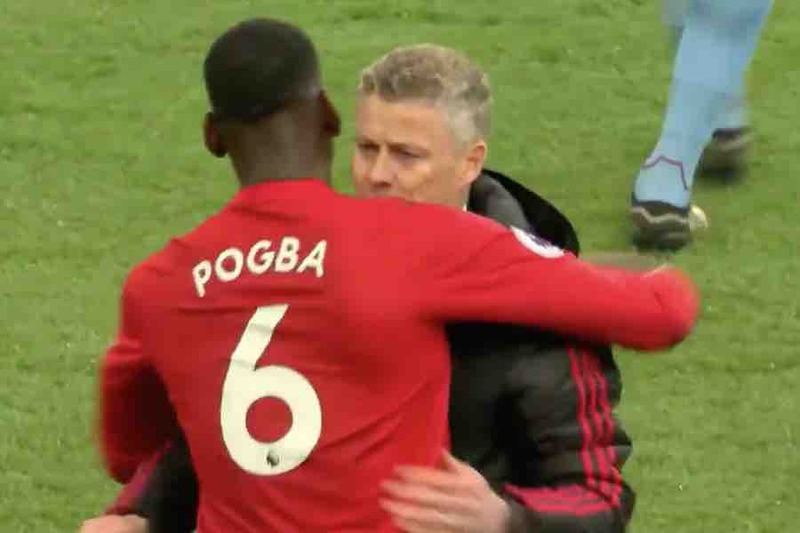 The match-winner was embraced by manager Ole Gunnar Solskjaer, who also applauded the Old Trafford crowd having previously shaken hands with West Ham counterpart Manuel Pellegrini.